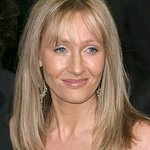 Britain’s Multiple Sclerosis Society, of which JK Rowling is a patron, received a “significant” donation from the author of the best-selling “Harry Potter” book series. The money will help fund a new £2.5 million research centre in Edinburgh, Scotland, that will further the charity’s work towards finding a cure for the disease. Rowling’s mother Anne died from the neurological disease in 1990 aged 45, and around 85,000 people in the UK alone currently have the disabling condition.